Below you fill find all funeral homes and cemeteries in or near California. California is also known as: Moniteau County / California city. Their current mayor is Mayor Norris Gerhart. Zip codes in the city: 65018, 65042. Some of the notable people born here have been: (george howard williams), and (clarence streit). California is a city in Moniteau County, Missouri, United States. The 2010 census has the population at 4,278. It is the county seat of Moniteau County. It is the third largest city in the Jefferson City, Missouri Metropolitan Statistical Area. It was revealed on February 21st, 2019 that Emily Sue Doherty (Summers) died in Salisbury, Maryland. Ms. Doherty was 84 years old and was born in California, MO. Send flowers to share your condolences and honor Emily Sue's life. It was written by Des Moines Register on January 22nd, 2019 that Clarence Victor "Vic" Albin passed away in Des Moines, Iowa. Albin was 92 years old and was born in California, MO. Send flowers to share your condolences and honor Clarence Victor "Vic"'s life. It was noted by Unterrified Democrat on October 18th, 2017 that Charlotte Louise Baker (Smith) perished in California, Missouri. Ms. Baker was 83 years old. Send flowers to express your sorrow and honor Charlotte Louise's life. It was disclosed by Unterrified Democrat on July 13th, 2016 that Viola Matilda Wolfe (Steinman) perished in California, Missouri. Ms. Wolfe was 83 years old. Send flowers to express your sorrow and honor Viola Matilda's life. It was written on May 27th, 2016 that Laura Sue Hammill (Rains) passed on in Marsing, Idaho. Ms. Hammill was 76 years old and was born in California, MO. Send flowers to share your condolences and honor Laura Sue's life. It was reported on March 27th, 2015 that Betty Ann Boppre (Hall) passed away in California, Missouri. Ms. Boppre was 78 years old and was born in Greeley, CO. Send flowers to express your sorrow and honor Betty Ann's life. It was reported by Peoria Journal Star on September 2nd, 2014 that William D "Bill" Edwards died in Trivoli, Illinois. Edwards was 70 years old and was born in California, MO. Send flowers to express your sorrow and honor William D "Bill"'s life. It was reported by Columbia Daily Tribune on April 29th, 2014 that Roy H Schroer died in California, Missouri. Schroer was 86 years old. Send flowers to express your sorrow and honor Roy H's life. It was written by Unterrified Democrat on February 19th, 2014 that Alma Hile (Hagenhoff) passed away in California, Missouri. Ms. Hile was 70 years old. Send flowers to express your sorrow and honor Alma's life. It was noted by Columbia Daily Tribune on February 14th, 2014 that Stanley Everett Hall perished in California, Missouri. Hall was 71 years old. Send flowers to share your condolences and honor Stanley Everett's life. 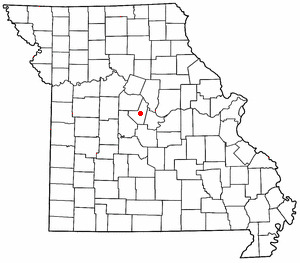 When Moniteau County was organized in 1845, it was decided that Boonsborough would become the county seat. California is a city in Moniteau County, Missouri County, Missouri, United States. The 2006 census estimates the population at 4,185. Legend has it that California is named after California Wilson who offered two gallons of whiskey to some men if the town would be named after him. Originally, the town was known as Boonsborough. Find BBB Accredited Funeral Services near California, MO - your guide to trusted California, MO Funeral Services, recommended and BBB Accredited businesses. Bowlin-Cantriel Funeral Services provides complete funeral services to the local community. Funerals in California, MO on Yahoo! Local Get Ratings & Reviews on Funerals with Photos, Maps, Driving Directions and more. We work with local florists and flower shops to offer same day delivery. You will find budget sympathy flowers in California here. Our funeral flowers are cheap in price but not in value.